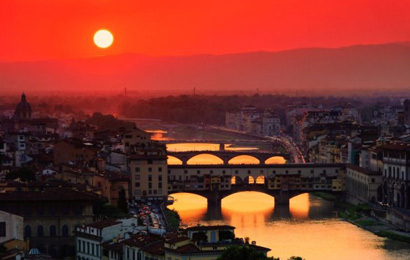 Livorno or more distant La Spezia is your port of call for excursions to Florence, Pisa and Tuscany with viniards and picturesque small towns. 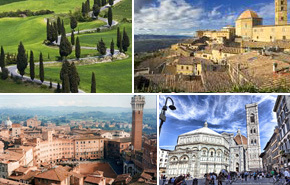 For first time visitor who had never been to Florence the full day excursion to Florence with a stop in Pisa is a must. 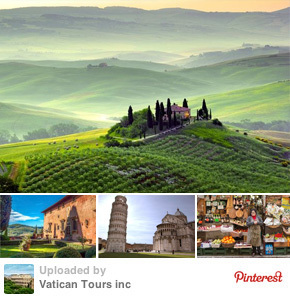 An excursion to Siena and San Gimignano allows for a slower pace away from crowds. 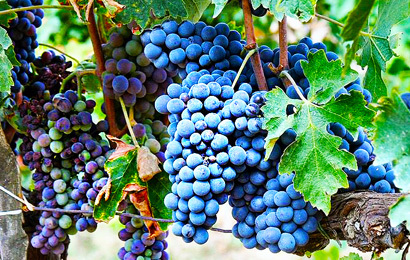 Wine lovers will consider touring famous Tuscan wineries with a lot of good wine and food. Other destination to consider are Lucca, easily explored on foot or bike, beaches of Viareggio for a swim in the Mediterranean Sea or Carrara marble quarries overlooking the coast, where Michelangelo cut his stone. Let us know how much time you have and what your interests are and we will design your ideal personalized tour educational, fun, efficient and safe. 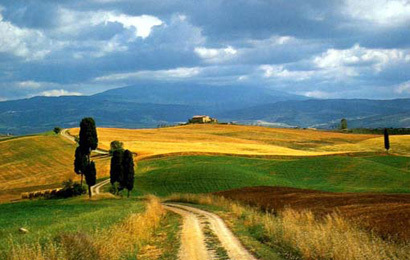 Two most famous Tuscan towns and a beautiful countryside.